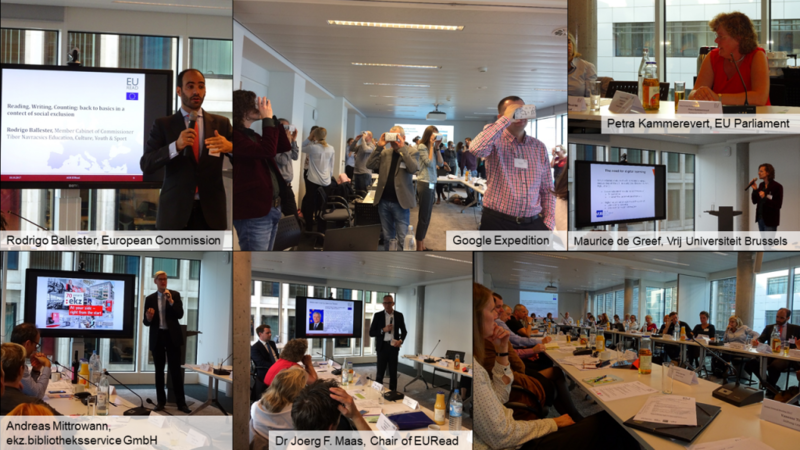 The third Annual General Meeting of EURead took place from October 18-20 2017 at the Confederation of German Employers’ Associations in Brussels. The meeting brought together experts from the fields of European reading promotion, scientific research, economy and politics including the European Commission. The aim was to continue and foster the exchange of ideas and experience and to develop further initiatives and campaigns across Europe in order to promote reading and literacy. This year’s meeting focused on challenges and opportunities arising from digitalization in the field of literacy.